Tyrone C. Walker began his training in Washington, DC, at the Duke Ellington School of the Arts under the direction of Charles Augins. Tyrone has received dance training from The Washington School of Ballet, School of Nashville Ballet, and Giordano Dance Chicago under full scholarships. Tyrone is a former member of Nashville Ballet 2, Ailey II, and Dallas Black Dance Theatre. He has performed works by many notable choreographers, including Paul Vasterling, Robert Philander, Alvin Ailey, Troy Powell, George Faison, Thang Dao, Sidra Bell, Ben Stevenson, Christopher L. Huggins, Robert Battle, and Judith Jamison. He has also performed with Nashville Ballet and Alvin Ailey American Dance Theater in Alvin Ailey’s Memoria. Tyrone strongly believes in giving back to the community. He has taught many master classes across the country in ballet, jazz, and the Horton Technique. He was on staff at the School of Nashville Ballet and taught for the summer programs of the Houston Academy of Dance, Metropolitan Ballet Theatre, and Dallas Black Dance Theatre. Tyrone recently premiered his choreography, Prototype, in Ontario, Canada. He has also choreographed on the students of Houston Academy of Dance, Duke Ellington School of the Arts, The Ailey School, Dallas Black Dance Theatre II, and the Metropolitan Ballet Theatre. His theater credits include Father Panik Village: The Untold Story (Bridgeport, CT) and a production of The Wiz (Dallas, TX) with Dallas Theater Center. Tyrone is currently on faculty at Metropolitan Ballet Theatre as Ballet Master and Director of the Metropolitan Ballet Ensemble. MOVEIUS’s Fall Performance Series features a world premiere by Tyrone Walker. MOVEIUS Associate Director Olivia Sabee recently spoke with Walker about his first work for the company. MOVEIUS: How did you first get interested in choreography? Walker: The first time I ever touched choreography was when we had a composition class in high school, at Duke Ellington School of the Arts. When I was at the Ailey School in New York, I was really influenced by Christopher Huggins. My exposure to him made me want to choreograph so that I could make other people feel the way his work made me feel. Then later, when I went to Dallas Black Dance Theater, I choreographed a piece for their show where company dancers are given the opportunity to choreograph on other dancers, Black on Black. I got to expand the piece for the second company and it premiered in Canada. MOVEIUS: What was your inspiration for this piece? Walker: When I’m creating I try to focus in on where I am in my life. Right now I’m at a point where I keep telling myself, “I don’t have enough time to do this.” But I’ve also set certain goals for myself, things I’d like to accomplish before I depart from this world. If you’re that type of person, you always feel that anxiety, that rushing feeling. My grandma is also an inspiration for this piece—she’s always going. MOVEIUS: Your piece is strikingly athletic. Can you tell us a little bit about your choreographic influences? Do they relate to that? Walker: Christopher Huggins’s and Ulysses S. Dove’s work have influenced my style. They both push athleticism. It’s more than just ballet and modern and putting it together. Also, for this piece I’ve been fortunate to work with six female dancers. I like women performing quick, athletic movement. I don’t see things as, “This is a women’s step,” and “This is a men’s step.” I just like seeing what dancers can do, and I guess in that way I’m a feminist. Walker: I like to leave things open to interpretation—I don’t want to put my story out there. People can create their own storyline. Maybe they connect in a certain way and feel a sense of relief for a little bit. Q: What was the inspiration for your new piece? A: The music—Max Richter’s contemporary take on Vivaldi’s Four Seasons—is the inspiration. There are sections that are directly tied to the score. For example, Spring III is bright, upbeat, and rhythmically complicated. The choreography also comes from my experience with the company, which has many strong contemporary movers. I generated most of the movement on the dancers. I had some concepts prepared, then made the piece with them, using their strengths and weaknesses. Q: What was your creative process with MOVEIUS like? A: I always love a new process because I feel like I learn as much as the dancers on the first day. Every company is different, and you’re learning how you fit in. I found that MOVEIUS has very mature artists. Everyone in the company does other things, and that changes their perspective. The stigma that you can’t dance and do other things is changing, and we’re moving into a more open mind-set. Q: What do you think MOVEIUS can offer DC’s dance community? A: Any company that is commissioning new works definitely has something to offer – it creates opportunities for choreographers, audiences, and dancers. That is vastly important to the dance community. Working with guest choreographers has always been a great experience allowing for much investigation during the process. I really enjoyed Emery’s process and her specificity on each movement’s initiation and performance quality. Also, the variations of similar phrases proves challenging yet surmountable for our entire company. Personally, being able to ‘let go’ while rehearsing phrases of movement is a challenge and I’m looking forward to improving on this in my dancing across all pieces. Melissa began training at the local dance studio and continued training through high school at the Frederick School of Classical Ballet (FSCB). With the FSCB, she performed roles in The Nutcracker, Sleeping Beauty, and Cinderella. In college she danced with Winthrop University’s Department of Dance and Radford University’s School of Dance. At RU, she performed in Fall Dance Fest, Evening of Ballet, The Nutcracker, and Dancing on the Edge. Most notably, she danced the solo for Keith Lee’s (of the Dance Theatre of Lynchburg) The Motion Chamber. Melissa graduated from RU with a Bachelor of Fine Arts Degree in Dance: Ballet, and a Business Administration Minor. Melissa is celebrating three years as a company member with Misako Ballet Company (MBC) where her featured roles have included: Spanish and Arabian Variations from The Nutcracker, Marie Taglioni in Pas de Quatre, Odette from The Swan Lake, the pas de trois of Le Corsaire, a variation from Coppelia, and the pas de trois from Paquita. In addition to dancing with MBC, Melissa works with MOVEIUS Contemporary Ballet (MCB) in Montgomery County, Maryland, as company dancer and marketing manager. MCB recently debuted Locally Grown at the Montgomery College Cultural & Performing Arts. Other highlighted performances include: MCB’s DC Capital Fringe premiere A Flight of Fancy; Obsidian at DC’s Intersections Festival; and MCB’s 2nd Capital Fringe appearance of Big River: and other Wayfaring Ballets. Melissa began performing for Ballet Prestige (BP) in 2013 and danced the roles of Finger Fairy (Act I) and Aurora (Act III) from The Sleeping Beauty in BP’s first appearance in the Rochester Fringe and a title role from The Nutcracker. 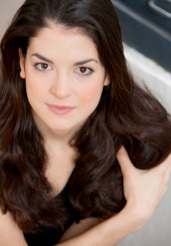 Currently, Melissa also has worked as the Executive Administrator at Dance/USA in Washington, D.C for over a year. Music/Artist/Band: There are SO many to choose from and I tend to go through phases. Right now I’m digging Justin Timberlake’s newest album and the Beatles classic hits, but I can never get away from Reggae, namely Bob Marley & Slightly Stoopid. Party Song: Again, I go through phases, but right now I’m liking the classic BeeGees Stayin’ Alive. DC Spot: I love the little pockets that exist in my city: Columbia Heights, Dupont, and Adams Morgan to name a few. I began dancing at a small studio in my hometown, and transferred to the Frederick School of Classical Ballet in high school – here I trained in Balanchine and danced various roles in his Nutcracker and classic favorites such as The Sleeping Beauty and The Cinderella. After high school I trained at Winthrop University, dancing mostly modern and contemporary student works as well as in the professor’s Winthrop Dance Theater showcases. Once deciding I wanted to really make a profession out of dance, I transferred to Radford University and intensely studied classical ballet under Inessa Plekanova in the Vaganova technique. I was also able to grow my modern technique under danah bella while at RU. Performing at Radford was fantastic! I danced numerous soloist and demi-soloist roles in various ballets such as Paquita, La Bayadere, Paquita, and the Nutcracker. After graduation, I had the opportunity to participate in Christopher K. Morgan’s summer intensive and grew tremendously in my modern movement that week. I am now taking class, dancing, and performing for Misako Ballet Company in Columbia, Maryland, with Misako Aoki-Oda, and have had the privilege of dancing multiple solos including the Dying Swan, Odette varation, Pas de Quatre, Sylvia, various Nutcracker roles, and choreographed Japanese pieces by Ms. Aoki-Oda. Finding and being able to dance for MOVEIUS Contemporary Ballet was such a thrill and a great way for me to intertwine modern and contemporary works into my classical ballet training. I’m SO excited for what the future holds for both companies.What genre of dance is your favorite? Why? I love, and always will, traditional classical ballet, but working with MOVEiUS has developed a love for more contemporary works as well. They are exciting, unpredictable, and it’s easy to see and feel how the choreographers are able to get the dancers to push themselves to their limits! What is your favorite full length ballet/variation/performance? Why? Right now I’m working on some solo variations from The Sleeping Beauty to guest perform over the summer. These variations have nuances that are not noticeable until really studying them over and over again. One of my favorite works to watch is Forsythe’s In the Middle Somewhat Elevated. I find myself gasping and clenching my fists with the excitement and limitations that the dancers continuously overcome throughout the ballet. I’d never heard it stated better than Kun Yang-Lin at Dance/USA’s 2013 Annual Conference in Philadelphia, “Dance is life. Life is dance.” They are inseparable realities for me.What kind of pointe shoe do you wear? I wore Bloch Synergy ¾ shank for SO many years, recently found the Capezio Tiffany pointe shoe, of which I was super in love with! I am currently wearing both custom Freed Classics and stock Classics. This is another one, ask on a different day and my response will vary. Right now with winter here, I’m looking forward to being on the beach. What other jobs/activities/talents/passions do you pursue? I’m proud to say that as well as being a ballet dancer, I am also a dance admin. This proves to be challenging and mind-boggling at times, but they are welcome challenges that I look forward to each day. What about the music inspired you to choreograph and how do the different art mediums involved function as a whole? I really enjoy minimalist music where the composer seems to have gone through the notes with a fine-tooth comb, leaving only the best ones. The two pieces of music I found have a lot going on in the background, but the melodies struck me as simple and beautiful. I like having empty spaces in the songs that I can fill with the dancers’ movement. What means have you used to portray the meaning of this piece to the audience? I am using video projections and a bench for this piece. I love playing with fire (literally!) to get the effect I wanted in the clips I used. The smoke and fire represent the theme of the piece: a relationship that has consumed itself. The bench was really cool to work with as well, because it added another level to the piece. Have you ever choreographed before? If so, what piece? If not, why not? I choreographed a trio last year, Renforce, for DC’s Capital Fringe Festival. That was my first time working with professional dancers, and it was exhilarating. I’m so glad to have the opportunity to do it again, to push myself further as a choreographer. As a choreographer, and a dancer, who are your influences? Whose work do you really like? I’ve been shaped and molded by my experiences dancing classical ballets, and by every contemporary choreographer I’ve ever had. There are so many talented voices out there that I draw inspiration from. I really enjoyed getting to work with Emery LeCrone when she was choreographing her piece on us. Explain a little bit about your choreographic process. It always starts in the car! When I’m alone and listening to a beautiful song, when everything else is quiet, it’s a given that my brain will start imagining dancers moving. I know I have a good (or at least tangible) idea for choreography when I see the same movement upon I listening to the song again. After that, I gather inspiration from the individual strengths of my dancers. I feel like a choreographer that wouldn’t be able to function without the use of ballet terminology and technique. What makes a great ballet? There are many factors, but the most well-choreographed ballet would be nothing without great dancers. See Shelley’s In Flames at Outside In on Friday, April 18, at 8:00pm, and Saturday, April 19, at 7:30pm at the Montgomery College Cultural Arts Center. Tickets are available now! See Shelley’s new piece premiere at Atlas INTERSECTIONS on Sunday, February 23, 2014, at 5:30pm, Lang Theatre at Atlas Performing Arts Center. Olivia grew up in Seattle, where she received her early training at Pacific Northwest Ballet School. After graduating from North Carolina School of the Arts, she went on to perform with Ballet Pacifica, ARC Dance, the Civic Ballet of Chicago, and the National Ballet in Annapolis. Additionally, as an undergraduate at the University of Chicago, she had the opportunity to perform roles such as Medora in Le Corsaire and the pas de six in Sleeping Beauty and to appear in the world premiere of Terence Marling’s two… three….. four. She has taught at the Lou Conte Dance Studio and the Joffrey Ballet Academy in Chicago, and currently teaches for CityDance. Olivia is currently a PhD candidate at Johns Hopkins University, where she is writing a dissertation on ballet and pantomime in the 18th and 19th centuries. 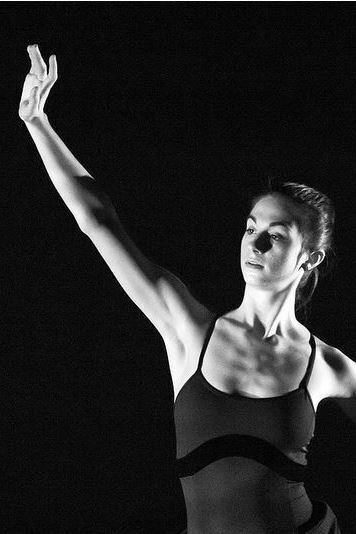 She joined MOVEIUS Contemporary Ballet in 2012 and began as Associate Director in 2013. I grew up in Seattle training at Pacific Northwest Ballet School and Cornish College’s Preparatory Dance division. When I was 17 I moved to Winston-Salem to continue my training at NC School of the Arts. Before moving to DC I danced with Ballet Pacifica, ARC Dance, and the Civic Ballet in Chicago. I also performed a lot during my undergrad years at the University of Chicago, and was able to get experience teaching class, staging, and choreographing, since the school doesn’t have a dance department and the ballet company is run by students. What genre of dance is your favorite? Why? Genres are hard. I don’t know what to call a lot of dance I see anymore since the lines are fuzzy between genres these days. I guess if I had to pick I’d say contemporary dance, though. The performances I’ve seen in the last year or so that have stuck with me the most have been works by Sharon Eyal, Mats Ek, and Lucky Plush/Julia Rhoads. Hmm… for a full-length it is hard to pick. Probably Swan Lake. But my favorite all time ballet is split between Jiří Kylián’s Petite Mort and Balanchine’s Raymonda Variations. Freeds! I’ve had more or less the same shoe for the last five years or so and I love them. Believe it or not they’re super comfy. We’d start in Japan (since my boyfriend Sasha and I have talked about going for ages), then take the ferry across the Sea of Japan to Vladivostok and cross Russia (and maybe stop in China and Mongolia) on the Trans-Siberian Railroad, ending in St. Petersburg. In addition to dancing with MOVEiUS, I’m a grad student at Johns Hopkins, where I am working on my dissertation on ballet and mime in the 18th and 19th centuries. I work a lot on Jean Georges Noverre’s Lettres sur la danse, et sur les ballets and how it was referenced by ballet masters and choreographers after Noverre’s time. Basically, I spend a lot of time reading about ballets and going to archives. Last year I worked in Paris and Bordeaux, and this month I am headed to Naples and Venice to look at libretti and other documents related to a ballet master working there in the 1780s. I feel pretty lucky that I get to do this and dance at the same time. Catherine grew up on St. Croix in the US Virgin Islands. She was lucky enough to have access to two excellent Cecchetti ballet teachers, Heidi Wright and Sonja Dickerson-Faust, with whom she trained for fourteen years. After graduating from high school, she went on to pursue a degree in dance from The University of the Arts in Philadelphia, where she had the opportunity to perform pieces by Twyla Tharp, Christine Cox and Brian Sanders. After graduating in 2010, Catherine spent time in New York City, participating in Reverb Choreographic Project and apprenticing for Brooklyn Ballet, before returning to St. Croix. There she had the chance to teach and choreograph for her former dance studio and high school before moving to Maryland and joining MOVEIUS in 2012. Music/Artist/Band: Not my absolute favorite, but if I could see one concert of someone no longer living, it would be Queen with Freddy Mercury. DC Spot:Haven’t spent too much time in DC proper, but I’m a fan of the National Gallery of Art. Started at age 4 with Pointe Dance Academy in St. Croix with Heidi Wright and Sonja Dickerson-Faust. Trained in Cecchetti and Vaganova methods. Went on to major in Ballet Performance at The University of the Arts in Philadelphia. The most exciting summer programs I attended were Bartholin Ballet Seminar in Copenhagen, DK and Hubbard Street Dance Chicago in Chicago, IL. Contemporary Ballet! It always surprises me how the traditional movement and ideas about ballet can be incorporated to create something completely different. Hubbard Street Dance Chicago performed a piece by Alejandro Cerrudo called “Incredibly Close”. I had never seen the company or dancing like that before. This particular piece involves gliding tiles and then all of the sudden feathers start to fall from the sky. But the props really just helped to reflect the feeling of the dancing. It was gorgeous. I’d love to take a trip around the world! I have friends spread out from China to Chile and it would be amazing to visit a lot of different cultures and still be welcomed by a friend. I have worked in many chocolate shops and cafes through out college and beyond. I like to do yoga and take walks. I pretend to be crafty and every couple of weeks will start a DIY project that usually doesn’t ever come out the way I expected but I always like trying!